Two weeks, two reviews from yours truly. I tried something a little different with this week’s review. 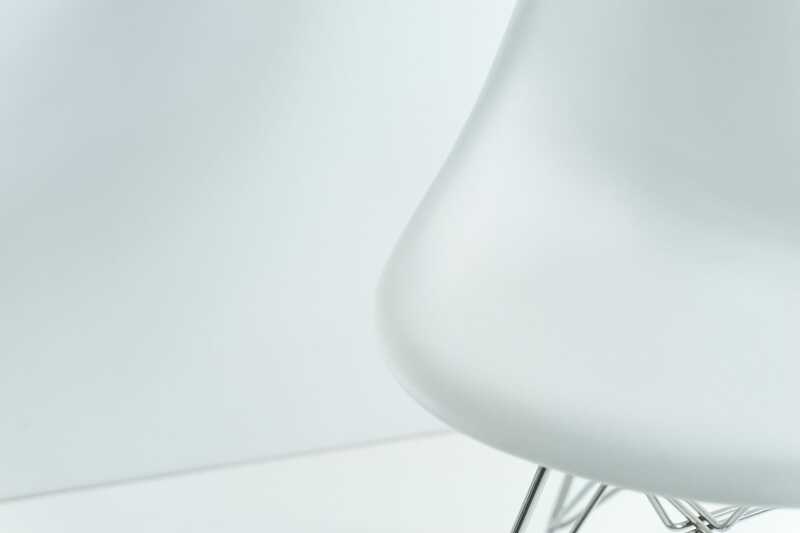 I figured playing with light would work well with all-white, minimal Herman Miller Eames Molded Plastic Chair. The curvy, white edges worked well with highlights and shadows, allowing for a product that could be defined by light rather than on its own accord. It was a fun experiment to try, and I think it turned out alright. Aside from that, the Herman Miller Eames Molded Plastic Chair is our go-to chair when our nieces and nephews come over. If it wasn’t for the Eames, we’d have stains on our dining room chairs. We’ll likely pick up another couple of these when our family grows. Check out the review on Tools & Toys when you have a couple minutes.